Well folks, it’s time for another round of You Should Be Watching, where I recommend entertainment I enjoy that doesn’t get as much buzz as it should. This week I’ve got something a little different to look at: the Netflix documentary series The Toys That Made Us. I heard about this show from the Facebook page, which I had been following for a while before the series was announced (and which I recommend checking out if you like looking at diverse toy collections). Aside from that page and a couple of friends, I don’t hear much about this show, but I think it’s really interesting. 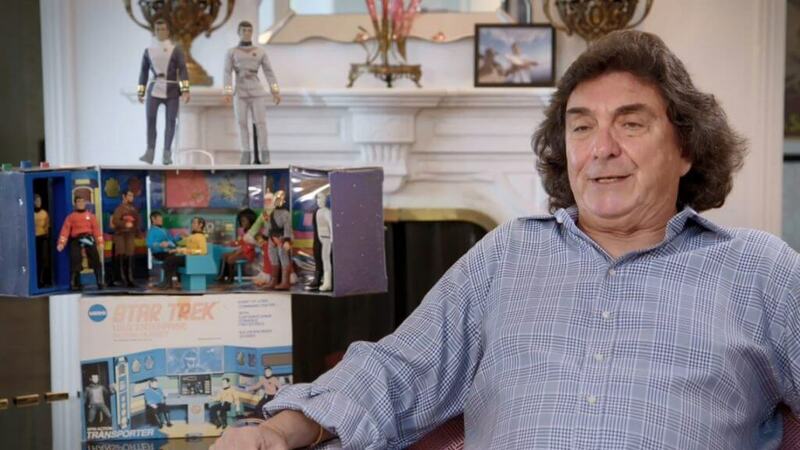 Brian Volk-Weiss’ The Toys That Made Us is a four-episode-per-season documentary series that features a different iconic line of toys in each episode. From Star Wars to Barbie, there’s something for everyone here, and I enjoyed each episode, regardless of my prior knowledge of the brand featured. In fact, even if you’re just a fan of the movies/properties involved but don’t collect the toys there’s plenty of intriguing information in this series. From the controversy surrounding Barbie’s shapely figure to the Japanese origin of Transformers, there’s a lot of drama and history involved. Although it’s a documentary series, The Toys That Made Us has a lot of dramatic and funny moments, as well as some suspense. When they talk about a turning point in a toy company’s history or what ended up being a big seller I genuinely find myself trying to guess what they’ll say. It can also be genuinely sad when a company goes bankrupt or has to be bought out by a larger competitor. The interviewees — mainly creators or artists who worked on the toys — are very knowledgeable and it’s always fascinating to hear their side, the company’s side, and how well the toys sold. Occasionally they’re very funny, like a woman in the Hello Kitty episode who says that a particular character was mainly popular with people ranging from children to adults (which may not sound funny on paper, but her delivery and the unnecessary complexity are humorous). The Toys That Made Us is not only unique among the series I’ve seen on Netflix; it’s unlike any series I’ve seen, period. It’s nice to watch a documentary with no political or social intent for once (not that there’s anything wrong with that, but sometimes you want to sit down for an hour and listen to people talk about something they made rather than an agenda they want to push). In fact, this is the only documentary on the subject of toys and merchandise I ever remember hearing about, which is part of the reason it’s so exciting. My personal favorite episode thus far is season 1 episode 2, which focuses on Barbie. Barbie has a surprisingly complicated origin involving a German adult cartoon strip and male executives at Mattel being horrified by the notion that she would have breasts. There’s also some great drama among the creators of Barbie once she’s on shelves. I heard something about a movie coming out that’s about the creation of the Barbie doll, and based on this episode I think that’d be a great film. I almost wish they’d do another episode on Barbie and elaborate more; there’s so much history there. I also really liked the very first episode, which is about Star Wars figures. From Kenner to Hasbro, it’s an epic saga of trying to meet demand, and sometimes even overproducing. Even if you don’t collect the toys, there’s some cool stuff in here about the movies and how they affected sales of the toys. Season two episode one focuses on Star Trek, specifically how difficult it was and how long it took to get into the market and eventually compete with Star Wars. They’ve already greenlit the series for season 3, and I hope they talk about some more girl toys; out of 8 episodes they’ve only focused on Barbie and Hello Kitty for girls. I’d like to see an episode about Disney toys, though I’m not entirely sure how they’d approach the subject, and it might take a few episodes to cover in full; then again, they handled Star Wars in a single hour. They could talk about Disney plush, figures, and the relationship between Disney and Mattel. They could even talk about how acquiring Marvel and Star Wars affected their business partnerships. The best thing I can say about The Toys That Made Us is that it’s unique. This humorous documentary is simply people talking about things they love and that shaped them, as well as getting the inside scoop from the people that created them. It’s a wonderful departure from the political docs that seek to divide and convert. I was particularly excited about episodes pertaining to subjects I was already interested in, but these people’s passion is infectious. In each episode I genuinely got invested in GI Joe, He-Man or whatever the given topic was. You learn so much and the speakers are so knowledgeable that you really get sucked into their world. There’s a lot of good stuff on Netflix, and the unique nature of this series instantly grabbed my attention. I love it so far and hope they continue to renew it; there are so many interesting toys they could cover. I do hope they’ll focus on some more girl toys; while I would be partial to anything Disney, they could explore Strawberry Shortcake, Rainbow Brite, My Little Pony and any number of others. If you have Netflix I would definitely suggest you give this unique show a shot, and if you don’t have Netflix you should probably get it anyway. You feel like a kid again when you see how invested and knowledgeable the interviewees are, and sometimes they even get into little disagreements over who gets credit for what and similar issues. A unique premise, the passion of fans and creators, a wide variety of fun facts and more are why you should be watching The Toys That Made Us.